If connectivity in today’s digital world represents “everything,” then surely the opposite must be true of disconnectivity. As we immerse ourselves in the 21st century and the Internet of Things—the symbiosis between design and device—and live our lives according to the new laws of online and omni-channel retailing that are but a few steps away from artificial intelligence running our lives for us, it has become harder to remember when we did not function with such real-time immediacy. Indeed, we may have come so far into this brave new world that we can no longer function without smart technology. If we were suddenly to switch them off, would we suddenly cease to function as a society, or would life simply revert to factory settings? A philosophical debate rages around the enablement of modern life as we know it and the theory that it has been subverted (or disrupted) by organized cyber gangs making use of the so-called Dark Web to turn connectivity into criminal gain and darker purpose. They are suspected of cyber warfare, the disruption of democracy, and denial of service attacks against other countries’ vital infrastructure. 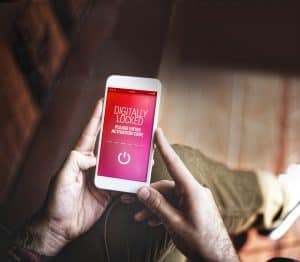 How would switching off the technology affect our relationship with the latest must-have generation of mobile technology? Denial of service certainly has far-reaching implications, but is everything as it seems? In a world where opposites attract, denial of service could be a force for good and put to commercial use, particularly in retail where organized retail crime gangs and opportunist thieves have had a free hand at disrupting legitimate business. Better still, not switching technology on in the first place could be a game-changing disruptive technology in the world of loss prevention, which arguably has not had any major developments since electronic article surveillance (EAS) debuted in the 1990s. Enter point-of-sale activation (PoSA), winner of the 2017 (R)Tech Asset Protection: Innovation Award in the United States. It has been heralded as a kingmaker and the latest generation of disruptive technology. EAS relies upon a retrofit or source-tagged RF or AM device-it is a passive technology that has to be fitted to high-value merchandise. Theft of items may trigger an alarm at the EAS gate, which can lead to retrieval of the goods. But in many cases, in today’s noise-polluted world where alarms are seldom responded to, more and more items are merely written off as shrink. Point-of-sale activation, on the other hand, is a proactive technology designed to offer complete supply-chain and in-store protection against shrink. Its focus is currently on intelligent devices: high-value consumer electronic devices that are digitally locked at point of production and activated by a code provided on the customer receipt at the point of sale (POS). In short, the device is “dumb” or simply does not work until it is activated, rendering it useless until purchased. It allows for open display and customer interaction, but any unwanted attention by shoplifters is rewarded with blank screens and zero functionality once removed from the store. Getting to the point where PoSA is now-used by the largest US retailer, Walmart, and under review by a number of retailers in Europe-has been a long and circuitous journey. Embedding benefit-denial technology in process-driven devices at the point of manufacture (source tagging) has been DiSa’s goal since the early Aughts, but getting the first retailers to buy into the holistic concept was a slower burn. In 2009, Walmart, the world’s largest retailer, began showing an interest and began working with PoSA to help make the technology, which was still in its infancy, more scalable and affordable. It wasn’t until 2016 that the retail giant put it into a full-concept operation in Store Number One in Arkansas, where senior management could watch from Walmart’s head office just six miles down the road. There, the first test purchases were carried out in September 2016, more than a decade after the original concept was developed. Walmart, which previously had a policy of putting high-value items in secure cabinets, worked with some of the larger tablet manufacturers to test the technology. After a series of tentative steps, the first signs of progress were made. It was also externally tested through the Loss Prevention Research Council (LPRC), which published positive results after single-store proof of concept and expanded store trials. But with proof of concept now complete and a roll-out across a number of “larger-box” retailers in the United States, the journey is far from over. In terms of products point-of-sale activation can work with, retailers are only limited by their imaginations. The growth of smart technology through the Internet of Things means that most products with an on-off button have processing and communication capability, which is why the world of retail is a proverbial oyster to DiSa at the present time. The secret to DiSa’s success will be in its message. The more people—honest and dishonest alike—who understand how it works, the better. Knowledge is power, which the devices cannot have until they are legitimately purchased. Thus, the ultimate result of the denial of service technology is slowing the rate of shrink. Messaging is therefore everything, particularly when you are working with less-than-honest customers. To that end, DiSa is looking at its packaging and signage, including the use of strong warning colors-a waspish yellow and black, for example, to make sure the sting in the tail is obvious from the get go. Where EAS has wider application-from clothing to computing and integration into RFID technology in retail—its early application shows that point-of-sale activation has deeper capabilities. EAS may alert security that an item is being stolen, but PoSA encourages customer interaction and takes away the need to raise an alarm. Going one step further, the technology can detect fraudulent returns and will have a profoundly disruptive impact on the market the thieves seek to benefit from. To use a medical analogy, taking the tablets in the short term may make sense but not in the mid- to long-term when they can do more harm than good. In the digital world, PoSA proves taking smartphones, tablets, and other intelligent products has no future and is nothing more than a prescription for failed enterprise. This article was originally published in LP Magazine Europe in 2017. This excerpt was updated March 8, 2018.